Thomas Cowan was a 20-year-old Duke grad—bright, skeptical, and already disillusioned with industrial capitalism—when he joined the Peace Corps in the mid-1970s for a two-year tour in Swaziland. There, he encountered the work of Rudolf Steiner and Weston A. Price—two men whose ideas would fascinate and challenge him for decades to come. Both drawn to the art of healing and repelled by the way medicine was—and continues to be—practiced in the United States, Cowan returned from Swaziland, went to medical school, and established a practice in New Hampshire and, later, San Francisco. For years, as he raised his three children, suffered the setback of divorce, and struggled with a heart condition, he remained intrigued by the work of Price and Steiner and, in particular, with Steiner’s provocative claim that the heart is not a pump. Determined to practice medicine in a way that promoted healing rather than compounded ailments, Cowan dedicated himself to understanding whether Steiner’s claim could possibly be true. And if Steiner was correct, what, then, is the heart? What is its true role in the human body? In this deeply personal, rigorous, and riveting account, Dr. Cowan offers up a daring claim: Not only was Steiner correct that the heart is not a pump, but our understanding of heart disease—with its origins in the blood vessels—is completely wrong. And this gross misunderstanding, with its attendant medications and risky surgeries, is the reason heart disease remains the most common cause of death worldwide. In Human Heart, Cosmic Heart, Dr. Thomas Cowan presents a new way of understanding the body’s most central organ. He offers a new look at what it means to be human and how we can best care for ourselves—and one another. Street Farm is the inspirational account of residents in the notorious Low Track in Vancouver, British Columbia—one of the worst urban slums in North America—who joined together to create an urban farm as a means of addressing the chronic problems in their neighborhood. It is a story of recovery, of land and food, of people, and of the power of farming and nourishing others as a way to heal our world and ourselves. During the past seven years, Sole Food Street Farms—now North America’s largest urban farm project—has transformed acres of vacant and contaminated urban land into street farms that grow artisan-quality fruits and vegetables. By providing jobs, agricultural training, and inclusion in a community of farmers and food lovers, the Sole Food project has empowered dozens of individuals with limited resources who are managing addiction and chronic mental health problems. Sole Food’s mission is to encourage small farms in every urban neighborhood so that good food can be accessible to all, and to do so in a manner that allows everyone to participate in the process. In Street Farm, author-photographer-farmer Michael Ableman chronicles the challenges, growth, and success of this groundbreaking project and presents compelling portraits of the neighborhood residents-turned-farmers whose lives have been touched by it. Throughout, he also weaves his philosophy and insights about food and farming, as well as the fundamentals that are the underpinnings of success for both rural farms and urban farms. Street Farm will inspire individuals and communities everywhere by providing a clear vision for combining innovative farming methods with concrete social goals, all of which aim to create healthier and more resilient communities. Featuring more than 250 innovative recipes that respect and transcend regional food traditions. The basis of great cooking has always been the creative use of fresh, seasonal ingredients – whether the kitchen is at home or in a high-end restaurant. At the renowned Black Trumpet restaurant, located in the historic seacoast city of Portsmouth, New Hampshire, Chef Evan Mallett and his staff reflect the constantly changing seasons of New England, celebrating the unique flavors and traditions of fished, farmed, and foraged foods in their ever-changing menus that rotate roughly every six weeks throughout the course of the year. Cauliflower and Chickpea Fritter with Curried Spinach Puree; as well as a wide range of soups, salads, starters, condiments, desserts, and cocktails. Black Trumpet not only tells the story of a great restaurant—how the Black Trumpet became nationally famous as a model for local food sourcing and community involvement—but it also traces the growth and evolution of the local food movement. In some ways, it can be viewed as a how-to manual for building a community around good food, featuring not only creative and delicious recipes, but autobiographical vignettes, and sidebars containing technical how-to information, profiles, anecdotes, and essays. In this cookbook, the trappings of technology are eschewed, and the bare-bones essentials of extracting flavor and combining both commonplace and unusual ingredients take center stage. Genuine flavor and hospitality are what set Black Trumpet apart, and this cookbook will reflect those special qualities and inspire a new generation of adventurous American cooks. Cancer survivors Domini Kemp and Patricia Daly offer the first comprehensive ketogenic cookbook based on the most exciting new research on nutritional approaches to the prevention and management of cancer. For decades, the ketogenic diet—which shifts the body’s metabolism from burning glucose to burning fat, lowering blood sugar and insulin and resulting in a metabolic state known as ketosis—has been used to successfully manage pediatric epilepsy. More recently, it has been used by the Paleo community as a weight loss strategy. Now emerging research suggests that a ketogenic diet, in conjunction with conventional treatments, also offers new hope for those coping with cancer and other serious disease. With endorsements from leading researchers and oncologists such as Dr. Thomas Seyfried (Cancer as a Metabolic Disease), The Ketogenic Kitchen offers more than 250 recipes, as well as meal plans and comprehensive scientific information about the benefits of a ketogenic diet, with sensible advice to help readers through periods of illness, recovery, and treatment. This North American paperback edition has been updated to include U.S. customary units of measure appearing side-by-side with metric measures. Rules for Revolutionaries is a bold challenge to the political establishment and the “rules” that govern campaign strategy. It tells the story of a breakthrough experiment conducted on the fringes of the Bernie Sanders presidential campaign: A technology-driven team empowered volunteers to build and manage the infrastructure to make seventy-five million calls, launch eight million text messages, and hold more than one-hundred thousand public meetings—in an effort to put Bernie Sanders’s insurgent campaign over the top. Bond and Exley, digital iconoclasts who have been reshaping the way politics is practiced in America for two decades, have identified twenty-two rules of “Big Organizing” that can be used to drive social change movements of any kind. And they tell the inside story of one of the most amazing grassroots political campaigns ever run. Fast-paced, provocative, and profound, Rules for Revolutionaries stands as a liberating challenge to the low expectations and small thinking that dominates too many advocacy, non-profit, and campaigning organizations—and points the way forward to a future where political revolution is truly possible. 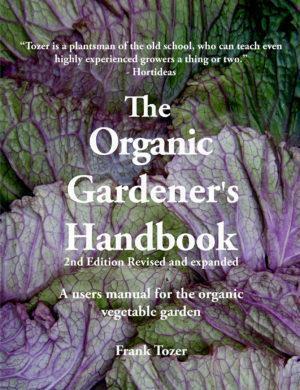 The Organic Gardeners Handbook covers every aspect of creating, managing and working in the organic vegetable garden. There are chapters on climate, site selection, soil science, fertility, bed preparation, composting, cover crops, planning, raising seedlings, direct sowing, watering, harvesting, weeding, pests, seed saving, harvesting, storage, season extension, greenhouses and more! It covers both the art and science of gardening with sufficient depth to have been used as a textbook in college horticulture classes, yet it explains everything in an easily understood and even entertaining manner. Whether you are a complete novice, or a veteran gardener, you will want to keep this book out in the garden shed with your tools. It is intended to be used in conjunction with its companion book, The New Vegetable Growers Handbook, which covers the cultivation of individual crops. 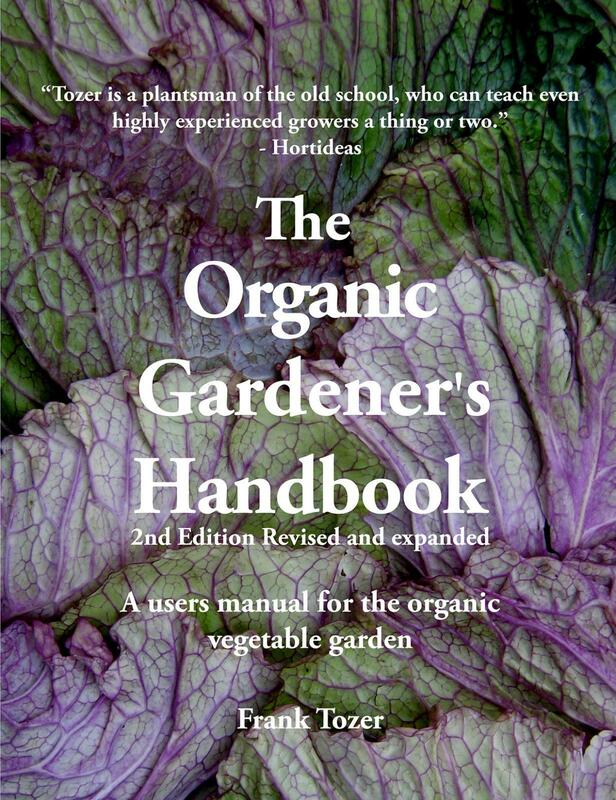 This new edition has been extensively revised, updated and expanded to be even more complete and authoritative, and is likely to be the most complete and useful guide to organic vegetable gardening that you will find anywhere. Permaculture is a low cost, environmental and creative approach to living. The Permaculture Book of DIY presents over 20 practical projects that show you how to cleverly recycle materials into useful and unique objects at low financial and environmental cost. Some projects can even be completed for free. Want to spend more time enjoying your home and garden? With this diverse range of projects you could be growing vegetables in your own geodesic growdome, relaxing on a recycled wooden pallet garden bench whilst enjoying a cider from your very own cider press, or generating your own power with a self-installed solar panel! Each project has been carefully tried and tested and is clearly laid out with step-by-step instructions and supporting photography and diagrams. It is suitable for anyone who wants to learn DIY skills, have fun and involve their kids too. Do you wish to creatively engage with the wickedly complex problems of today, while not adding to the mess? Do you want to consciously act with clarity and grace whilst living on a thriving planet? Do you want a fair society, where people care for each other, their children and grandchildren? Stefan Geyer shows how permaculture, infused by insights from the Zen tradition, can be a modern means to liberation from our society’s present woes. Permaculture is a new regenerative culture, and permaculture design is the method to get there, offering emancipation and emboldening us to think in joyfully expansive, daringly experimental, and creatively caring new ways. Each page of this pocket-sized book of quiet lightning and gentle earthquakes presents a permaculture idea or theme as a catalyst for creative thought. Together they articulate a process of awakening that can help us become intimately aware of how nature works. As we become more sensitive to our place within the natural world, we see our own nature within it. Volume III of The New Farmer’s Almanac—360 pages of original agrarian content, essays, cartoons, imagery and historical snippets—harnesses the wisdom of over 120 contributors from our community of new farmers and ranchers. This volume explores the theme of The Commons, drawing from folklore, mathematical projections, empirical, emotional, and geographical observations of theory and praxis. Farmers hold space in many interwoven commons, and possibilities for our shared future would seem to rest on how these intersecting commons are governed—particularly at the juncture of humanity and ecology where we make our workplace. In re-visiting the Almanac format, we assert our version of Americana and equip ourselves for the challenges of rebuilding the food system and restoring a more democratic, more diverse, and more resilient foundation for society. We face a dystopian future, with guaranteed-unpredictable weather, the impending collapse of the fossil fuel economy, endlessly consolidating monopolies, and a country that is, for the first time in our history, majority urban. That’s why this Almanac is a utopian publication, one that reminds today’s farmers about the foundational concepts of an agrarian democracy—themselves utopian. If you are suffering from chronic pain, or know someone who is, Back in Control could change your life. Dr. David Hanscom, a spine surgeon and fellow sufferer, shares with you what finally pulled him out of the abyss of chronic pain after 15 years—without surgery or addictive medications. Instead, his approach to treatment focuses on an aspect of chronic pain that the medical world has largely overlooked: you must calm your nervous system in order to get better. More than any other book about pain, Back in Control reveals how to quiet a turbocharged central nervous system, relieve the anxiety and depression that often accompany chronic pain, and make a full recovery. Provides a proven solution to end chronic pain – Dr. Hanscom’s treatment model has helped hundreds of patients move from managing pain to becoming pain free. Doesn’t require surgery or meds – The approach presented in Back in Control helps you eliminate chronic pain without the risk of surgery or side effects of medications. Puts you in control – Back in Control provides tools for eliminating pain that you can use on your own or as part of an ongoing treatment plan, to take back control of your care and your life. Applies to any type of chronic pain – The principles in Back in Control apply to any chronic pain condition, for example back pain, neck pain, hip pain, joint pain, fibromyalgia and sciatica, to name a few. Autoimmune diseases are now epidemic, with modern science offering those who are diagnosed limited solutions. Given this, many people suffering from these conditions have searched for alternatives using nutrition and lifestyle changes. In The Autoimmune Paleo Cookbook, Mickey Trescott provides a resource for those looking to embark on the Autoimmune Protocol–a version of an ancestral diet that is focused both on removing potential food triggers as well as healing the gut. Research shows there is a clear connection between diet and autoimmune disease, and many, including the author, have used these principles to heal their bodies from these debilitating conditions and their accompanying symptoms. With the information and recipes in this book, you can embark on this process for yourself–without suffering through bland and tasteless “allergen-free” meals. Instead, with all of the incredible food you will be enjoying, you may forget that you are achieving better wellness! In the first section of the book, you will learn all about the Autoimmune Protocol–what it is, why it works, and which foods you should eat and avoid while on the elimination diet. Instructions are given on how to clear your pantry of questionable ingredients and replace them with healing, nutrient-dense whole foods. Also included are sections on food quality, a shopping guide, tips and tricks to make the protocol go more smoothly, as well as ideas for batch-cooking and breakfast. Mickey provides two, 4-week meal plans, each of them corresponding with recipes from the book and featuring detailed shopping lists. Armed with this information, anyone can integrate the Autoimmune Protocol in to their routine! In addition to the introductory material, The Autoimmune Paleo Cookbook includes 112 delicious recipes suitable for anyone on the strictest phase of the Autoimmune Protocol–no grains, beans, dairy, eggs, nuts, seeds, or nightshades. Although this is quite the list of exclusions, Mickey offers unique, flavorful, and delicious meals suitable for a variety of occasions and preferences. You will find simple recipes that anyone can make for a weeknight dinner, as well as more elaborate preparations for those who want to enjoy with company or for a special occasion. Full-page photos for every recipe show you what to expect and inspire you to create beautiful meals of your own. With The Autoimmune Paleo Cookbook as your guide, you’ll be inspired to take your health into your own hands–finding better health in the face of autoimmunity, while thoroughly enjoying every last bite!